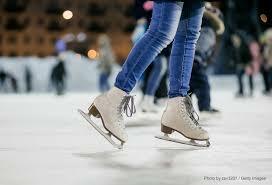 The annual celebration with free ice skating to Jewish music, a menorah built entirely of fidget spinners, hot latkes, donuts, gelt and build your own Lego fidget dreidel. It is free, but RSVPs are required. Free; RSVP required. Tampa Bay Skating Academy at Westfield Countryside, 27001 U.S. 19 N, Clearwater. (727) 789-0408. 5:45-7:45 p.m. Dec. 17.